Dr. Jimmy Cargill, second from left, and his wife, Sandra, chat with CBC Technology Division Chair Jack Young and Bob Roberts, Drafting and Design instructor. Dr. Jimmy Cargill, President of Dawson Community College in Dawson, Mont., was recently invited by Coastal Bend College to interview for the position of college president. Cargill toured the campus and met with members of the college community. “I am honest. I am capable. I am forward-moving,” the Houston native said to CBC faculty, staff and students. “I think that’s what you want in a president.” He answered questions about leadership, foundations and organization during several forums held throughout the day. Cargill said it’s important to make connections with students because it pays off as far as retention. He said as CBC president, he sees himself putting in a lot of “windshield time” travelling between the college’s campuses in Alice, Beeville, Kingsville and Pleasanton. “I’ll make sure to have a regular schedule of campus visits and keep in touch by phone and email,” he said. He said he has an open door policy and is a “hall haunter,” where he can build connections with students and faculty. A lifetime musician, Cargill said he was a part of the Big Band scene in Houston, where he played for celebrity performers including Sonny and Cher, Leslie Uggams and Engelbert Humperdinck. Dr. Cargill holds an Ed.D. in Music Education from the University of Houston, a Masters in Musicology and a Bachelors in Music Education from Sam Houston State University in Huntsville, Texas. He Dr. Cargill taught music at several colleges before landing in South Dakota where he led music, art, radio, graphics and media programs. “At the end of 12 years there, I decided to move up in administration,” he said. Cargill went on to Kentucky where he served as Chief Academic Officer at Ashland Community and Technical College. He helped the merge of technical and academic programs into a single college. He then went on to Dawson where he’s been for six years. He talked about his experiences with Montana lawmakers and his monthly trips to the legislature. In Montana, funding comes from state appropriations, the local tax base and tuition and fees, according to Dr. Cargill. He explained that he and the two other college presidents in the state engaged lawmakers by keeping community college funding at the forefront of conversations. Cargill said he has family in the area and finds the opportunity to return to Texas appealing. He is looking at a career of about five to seven more years. “When I retire, I want to be close to family,” he said. Candidates forums held this week give the public opportunities to meet the finalists. Two forums are held each day for staff, faculty, students and the community, including the media, on all campuses. The last finalist, Dr. W. David Pelham, will visit on Friday, March 2. He will address a large audience in CBC Gertrude R. Jones Auditorium in Beeville at 10 a.m. and video conference with all campuses at 1 p.m. in the following rooms: Beeville Campus (E-112); Alice Campus (A-205); Kingsville Campus (K-131); and Pleasanton Campus (P-139). Dr. Karen Bleeker, who visited on Tuesday, served as the President of the Community College of Denver in Denver, Colo. Previously, Dr. Bleeker was Vice President of Educational Services at Temple College in Temple, Texas. Dr. Bleeker holds an Ed.D. in Educational Administration and Community College Leadership from The University of Texas at Austin, a Masters in Counseling from the University of Texas at San Antonio, a Masters in Adult Education from the University of the Incarnate Word in San Antonio, and a Bachelors in Sociology from Trinity University in San Antonio. 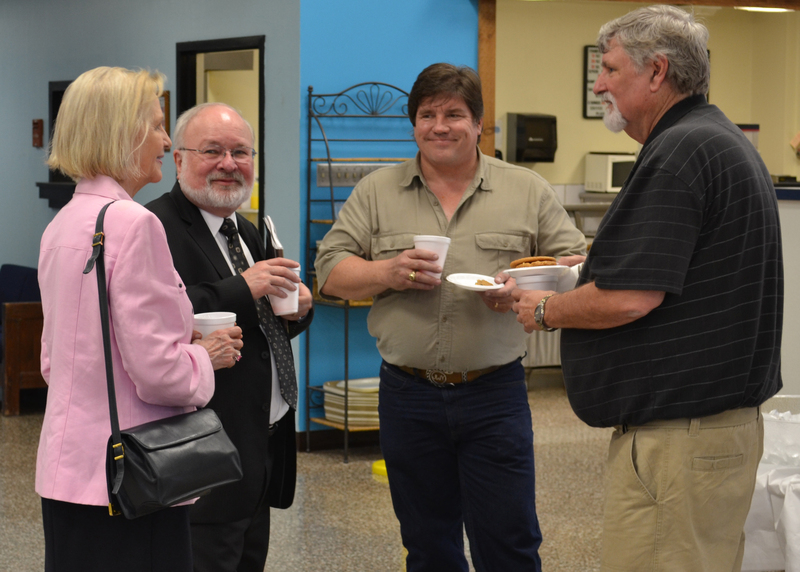 Dr. Thomas Rasco, who visited on Monday, served as President of Texarkana College in Texarkana. Previously, Dr. Rasco served as President of South Arkansas Community College in Eldorado, Ark. Dr. Rasco holds an Ed.D. in Educational Administration from Baylor University, Waco, a Masters in Speech Communication and Management and a Bachelors in Behavioral Science from the University of Houston, an Associate of Arts and Sciences in Nursing and an Associate of Arts and Sciences in Respiratory Therapy from Odessa College in Odessa, Texas. Rasco’s interview was on Monday. Dr. Beatriz Espinoza serves as Vice Chancellor for Educational Planning and Services at Yuba Community College District in Marysville, Calif. Previously, Dr. Espinoza was Vice President for Workforce Learning Services at Arizona Western College in Yuma, Ariz. Dr. Espinoza holds a Ph.D. in Rehabilitation Psychology and Educational Psychology and a Masters in Rehabilitation Psychology from the University of Wisconsin at Madison and a Bachelors in Psychology from the University of Texas-Pan American in Edinburg. Espinoza’s interview was on Wednesday. Feedback forms will be provided to all who attend the Open Public Forums and will be collected at the end of each Forum. They will be sent under seal to the Board of Trustees for review during the evaluation of the finalist candidates. To watch coverage of each visit, go to http://www.coastalbend.edu/presidentialsearch/.